A highly productive 24-inch printer that combines performance, quality and value to save you time and money. The SureColor SC-T3200 maximises performance in busy graphics, CAD and GIS production environments. Powerful image processing and a fast print speed meet the market’s need for maximum productivity and flexibility. 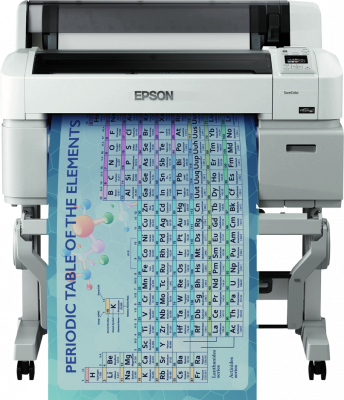 Epson’s PrecisionCore TFP printheads do not need replacing and, together with UltraChrome XD ink, deliver the highest level of performance, value and versatile media support. To maximise productivity, the SureColor SC-T3200 features 1GB of RAM for ultra-fast image processing and an optional 320GB HDD for job caching and recall. Optional PostScript support with dual 1.6GHz CPUs enables printing of large data-rich files quickly and directly from leading design and CAD programs. And the SureColor SC-T3200 is fast — outputting an A1 print takes just 28 seconds.